This popcorn bark is the perfect combo of sweet and salty! Hello, hello! Do yall love a good sweet and salty combination? I do! Just thinking of sweet and salty together my mouth starts to water. I LOVE IT THAT MUCH. I remember when I was a little girl I would sit with my grandma after dinner for dessert. We would have a sweet and then a side of pretzels or popcorn. We would alternate between the sweet dessert and a pretzel or two. Our own sweet and salty combo! The same goes when I’m having popcorn. (Or pretzels.) All I want is a piece of chocolate or peanut butter to smoosh together with the popcorn. In my mind sweet and salty just go together. 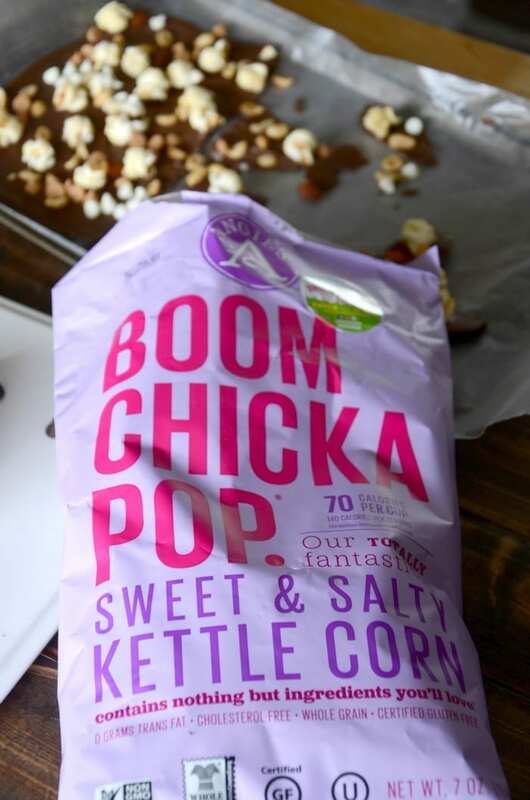 Of course BOOMCHICKAPOP has an amazing kettle corn that solves my sweet and salty dilemma. Kettle corn has always been my favorite. Still, all I could think about was tossing the popcorn on top of some chocolate. So I did. 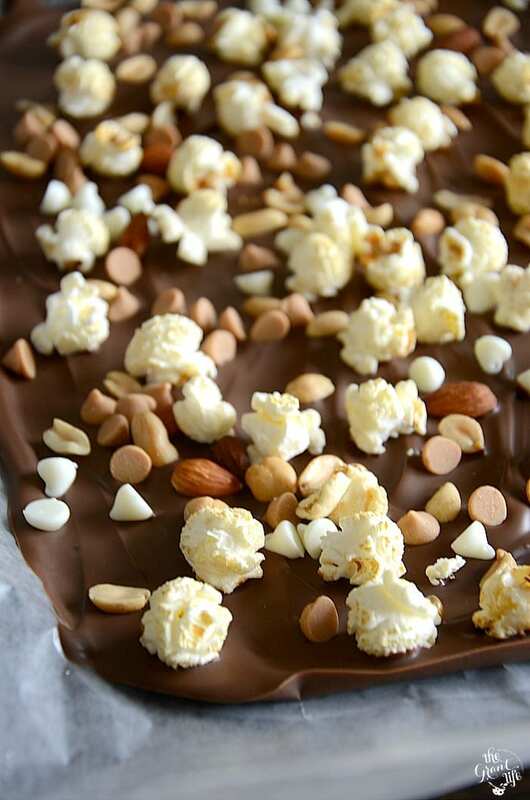 I made this SUPER EASY sweet and salty popcorn bark. It’s perfect for after school snacking, as a game day appetizer or just a quick dessert. 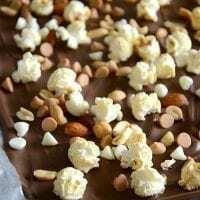 No matter when you enjoy this popcorn bark I can guarantee it will satisfy your sweet and salty tooth! Melt chocolate bark in a double boiler on the stove on in the microwave. If using the microwave - set for 30 second intervals and stir each time after. It should only take 2 or 3 intervals for the chocolate to full melt. Line a cookie sheet with wax paper and pour out over the paper. Spread out evenly. 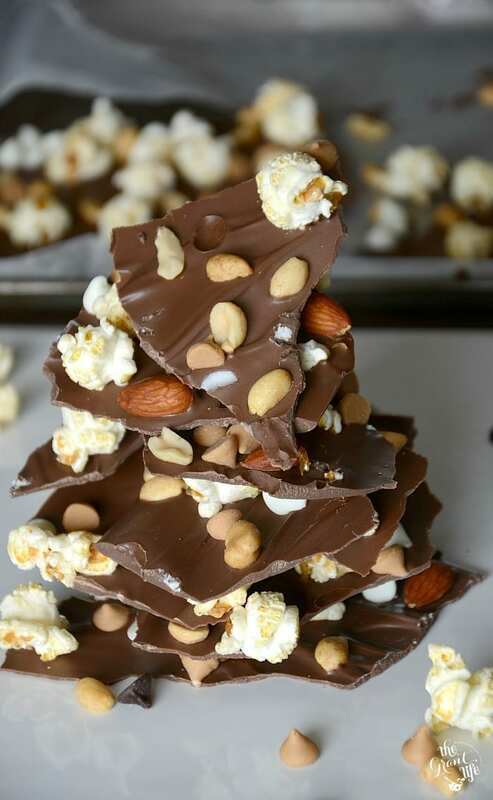 Sprinkle the kettle corn, nuts and chips over the wet chocolate bark. Place in the fridge or freezer to harden. Break once hard. Store in an airtight container. I have never had popcorn in something like this before but I have a feeling I would really like it a lot! Looks yummy as do so many of your recipes. Thanks Andrea! 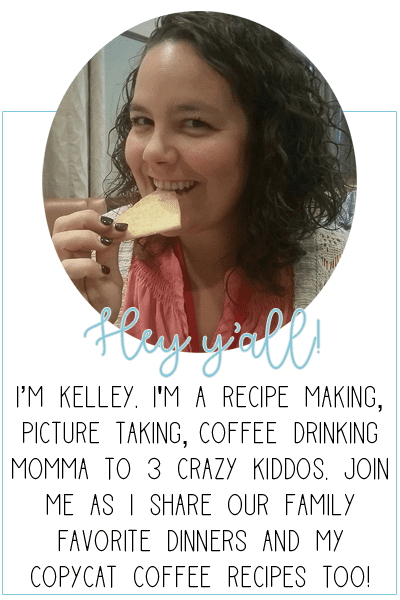 If you love salty/sweet then this is your snack!